This omnibus edition of the (originally) first two books in Sniegoski’s series about fallen angels is both entertaining and thought-provoking. 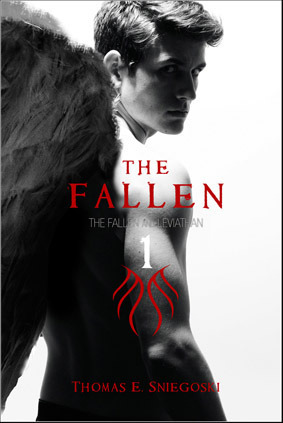 In The Fallen, we are introduced to Aaron, a lonely seventeen year old boy who doesn’t feel like he belongs in the world, and in the sequel, Leviathan, we follow Aaron as he finds out more about his Nephilim heritage. The first thing that stuck me about the book is Aaron: despite all the angst and woe-is-me stuff, he is a genuinely nice kid who is just trying to figure out his life. Unlike many of the other YA protagonists I read about, Aaron has his priorities straight and really doesn’t want anything to do with the freaky-deaky angels that come into his life and disrupt its monotony. I felt for him, because in this aspect I would be exactly the same! It’s also refreshing to read from a male perspective, especially one who has angelic powers. Aaron’s life is very realistic: he has loving parents and although he doesn’t have many friends, it’s clear that the people who take the time to get to know him really like him. I love that the author hasn’t shied away from writing in Stevie, Aaron’s foster-brother, as an autistic child, and I can tell that he will end up playing a vital role in the story. I also like Vilma, and although there was minimal romance between her and Aaron, I think there is a lot of potential between them that would be great to explore. It’s obvious they both care for one another a lot. My favourite aspect of the book has to be the angels. Some authors like to make their angels inaccessible and alien, and I think this is the way to go in reality, but authors who instil their angels with humanity usually don’t succeed. Sniegoski’s angels are imbued with human characteristics and are wonderfully flawed, but I think it makes perfect sense given their millennia away from heaven without guidance. This is the reason that Verchiel’s disillusionment is one of the most realistic aspects of the novel – the line between his divine mission and his own beliefs is blurred and it becomes increasingly clear that he has no idea what he is doing and is acting on orders given thousands of years ago. This aspect has irked some readers, and I understand why, but I think the whole point of the novel is about how these soldiers act on Earth when their generals gave lost contact with God, and no one is clear on whether the war is still going on or not. In Leviathan we take up with Aaron and the angel Camael as they try to reclaim Stevie from the vengeful angel Verchiel. The book is still gripping, but a little confused because it doesn’t take long for the duo to become distracted from their mission. Although this aspect is explained later on in the novel, I was perplexed at the beginning. This book is action packed and creepy, with strange mutated animals and zombie like people emerging in the sleepy town of Blithe, and the disappearance of Camael initiating a surprising sequence of events that leads to Aaron discovering a dark secret its inhabitants. I did like that even Aaron grasped how ridiculous his situation is – he comments that if he wasn’t living it himself, he’d think it a plot from a bad science fiction movie. However, the elements of the story coalesce nicely and tell a brilliant story, and the ending was great! The characters continue to be enjoyable in Leviathan, especially Gabriel, the talking dog, who brings humour to an otherwise dark book. The angel Camael is also great, for all his arrogance about being so much better than humans, it’s nice that he’s found out that he has more in common with them than he’d realised. We get to meet very few other angels in the book, which was disappointing, and Verchiel is off-screen for its entirety (although we get glimpses of what he is up to, and it’s terrifying). This book is more about Aaron accepting his new powers and place in the prophesy than about getting revenge on Verchiel and the other Powers for destroying Aaron’s life. I also liked the snippets we got of Vilma and Stevie: they provide grounding for Aaron’s past and attest to how different he has become. The Fallen and Leviathan are both enjoyable reads, and it’s great to have them in this omnibus edition so I could transition between them easily. I am looking forward to reading the rest of Sniegoski’s The Fallen novels, and finding out how Aaron handles the prophesy. Readers who enjoy angel themed fiction but are tired of monotony will benefit from trying this series. This sounds like a very entertaining read. I like it when story is told from male point of view – it’s refreshing because most ya novels have girls as main character. 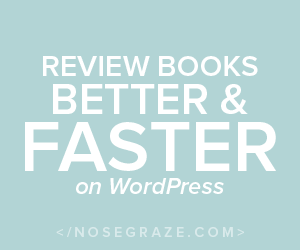 A friend of mine has read this series, or at least the first two, so that’s two of you who’ve enjoyed these books – great double review!